To commemorate the 200th anniversary of her death. "To mark the bicentenary of the British author’s death, the British Library has brought together the three notebooks that survive from her early years. Fiona Macdonald takes a peek." "Bank of England governor Mark Carney says author will feature from 2017 in victory for activists calling for more female faces." "£993,250 ($1.6m) in London (auction house Sotheby's), three times more than its estimated price." "This blog brings Jane Austen and the Regency Period alive through food, dress, social customs, and other 19th C. historical details." 1. Classics are those pieces of literature that continue to be popular long after they were authored. 2. Classics tend to have universal themes. 3. Austen s writing has been updated and dramatized and, most likely, will continue to be." HOW MUCH DO YOU KNOW ABOUT Jane AUSTEN ? "Why was Jane Austen so famous? What are some of her most well-known works? Which characters fall in love? And what happens? Test your knowledge about Jane Austen." "Sample the ... internet sites and complete the activities for each one to learn more about the author of Emma and Sense and Sensibility." "This WebQuest will include a tour of the 19th Centery, more specifically, a tour of Jane Austen's novel Pride and Prejudice. It will include a look into Regency England, the dress, the food, activities, etc, in relation to the view points of the characters in Pride and Prejudice." 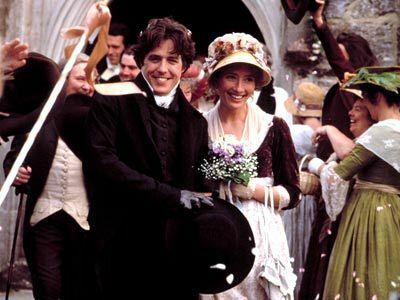 - An index to film adaptations of Jane Austen's works. Love & Friendship "is a 2016 romantic comedy film written and directed by Whit Stillman. It centers on Lady Susan Vernon (Beckinsale), who seeks refuge at her in-laws' estate while rumors about her private life circulate through society. Lady Susan then decides to find a husband for both herself and her daughter."